The Modern Mom Society Podcast, Episode 7: How to clear your closet, make sense of your style, and dress for your body type. On following your dreams and rocking motherhood! 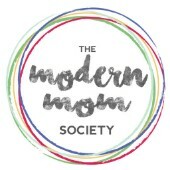 The Modern Mom Society Podcast, Episode 13: All about self care: finding the time to actually do it, getting your family on board, asking for help, building a life you love and much much more! The Modern Mom Society Podcast, Episode 37: How to navigate differences in sexual desire with your partner and reignite the spark!